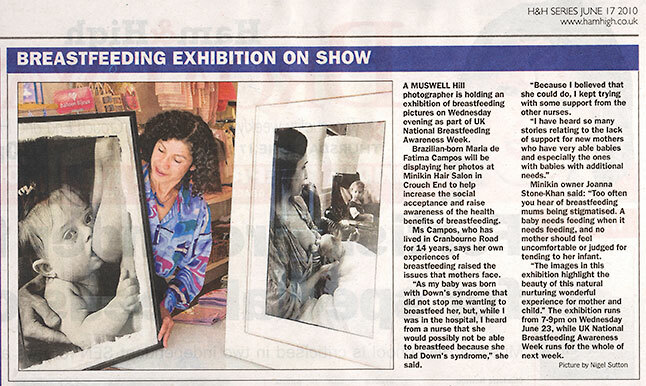 Maria de Fatima Campos shows photos of babies who have Down's syndrome being sucessfully breastfed. The original photographs were shown as part of the exhibition Shifting Perspectives at the famous OXO Tower gallery in London in 2010. They form part of an ongoing project in which Maria has campaigned about unfounded prejudice in the health professions against breastfeeding babies with disabilities. Maria is a professional photographer, author and the mother of Victoria who has Down's syndrome. Please do come along and have a drink if you in the area.